Robert Wright, in an article about Julian Assange, the founder of Wikileaks, argues—drawing on the New Republic’s John Judis for support—that what Assange has done, viewed over the long term, is positive, even beneficial, because it exposes a US imperialist agenda, as well as revealing when our government lies to its people, as in our fighting in Pakistan and Yemen. This, however, misses the main point—tellingly not even mentioned by Wright—that no government can possibly exist, let alone function, without the ability to hold candid and open communications with its government employees, or in talks with diplomats from other countries. Secrecy is vital, not just tangential, to a government’s ability to function at all. To make this clearer, let us suppose you are married. And let us further suppose that every single word between the two of you, meant only for each other’s ears, nevertheless is captured and splashed across the Internet the next day. Could such a marriage survive? The question answers itself: No. What is true in marriage (or friendship) is true, a fortiori, in diplomatic talks and dispatches. No government can for long engage in talks with another government without absolute privacy of communication—just as no marriage can function without absolute privacy. All governments, being staffed by humans, are fallible and sinful. That is a given. The Enlightenment ideal of eternal amelioration of the human condition, a utopian ideal, by definition can not exist, and never has existed. There are times, then, when the revelation of wrong-doing—engaging in unjust wars, for example, as in Viet Nam or Iraq—can and must be countered with the truth of why we are there in the first place and what is actually occurring. Hence the release of the Pentagon Papers by Ellsberg and Assange’s Iraqi War-logs (with the important qualification, however, that all sensitive names should have been blacked out by Assange beforehand) were good things. Moreover, if there is evidence of a crime, then the proper recourse should have been the Whistleblower route—which ought to be enshrined in our democracy as a highly civic and virtuous act, and so properly rewarded, since sinful men do unjust and criminal actions, and must be punished for the sake of the country as a whole. But this is a different category altogether from the premise that all communications of a government are, and ought to be, in the public domain. For under such an absurd premise, who would ever serve in government? Adverting once again to the marriage analogy, only with the assurance of absolute and total privacy can any marriage be successful: so with any and every government. There is no absolute right to privacy where there is evidence of criminal activity, either in one’s home or at work or in government. But there are legal and rational steps one may take to seek remedy. The absolute loss of the right to privacy, however, is no such remedy, but only makes the cure worse than the disease, crippling any government from functioning. 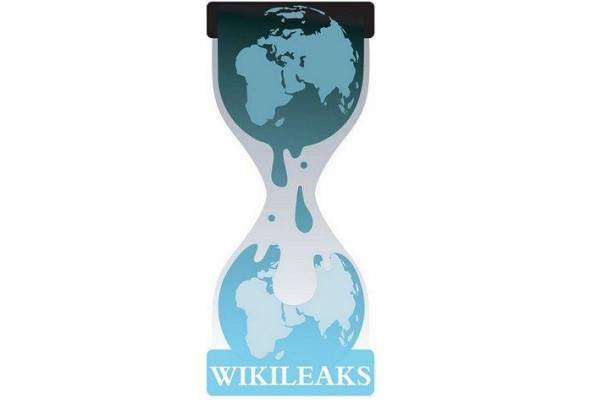 Assange, in releasing the diplomatic communiques, has crossed the clear line of propriety and therefore ought to suffer the full consequences of his actions.